FAYETTEVILLE (KFSM) – The free agency period of the professional sports season is always exciting. What does your favorite team do to improve their roster for the upcoming season? That model has now made it’s way to the college ranks as the NCAA transfer portal has crept into everyday conversation at your local watering hole. No, the transfer portal isn’t a term I picked up binge watching Ancient Aliens on the History Channel. Those are wormholes. For those who haven’t heard of the transfer portal, it’s essentially a website that university personnel can access and see who is looking to transfer. The players listed are allowed to be contacted about their process as well. 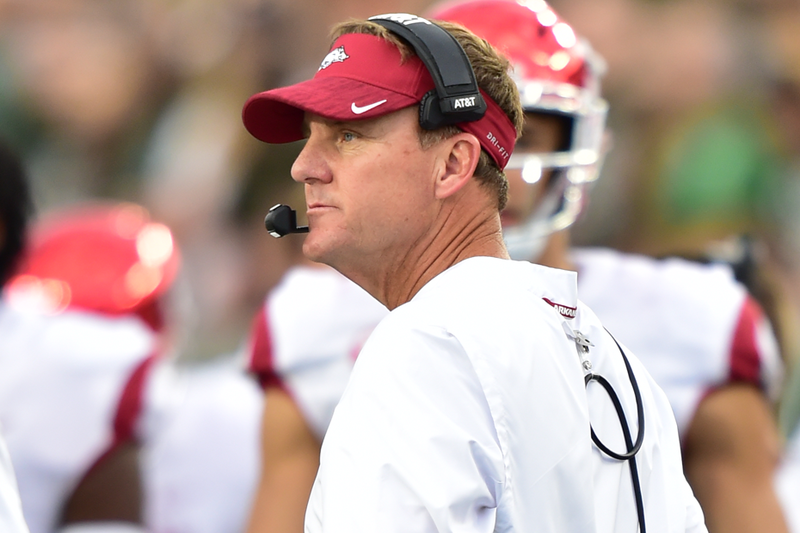 Arkansas has been looking for a transfer quarterback since the time Chad Morris was hired as the Razorbacks head coach. 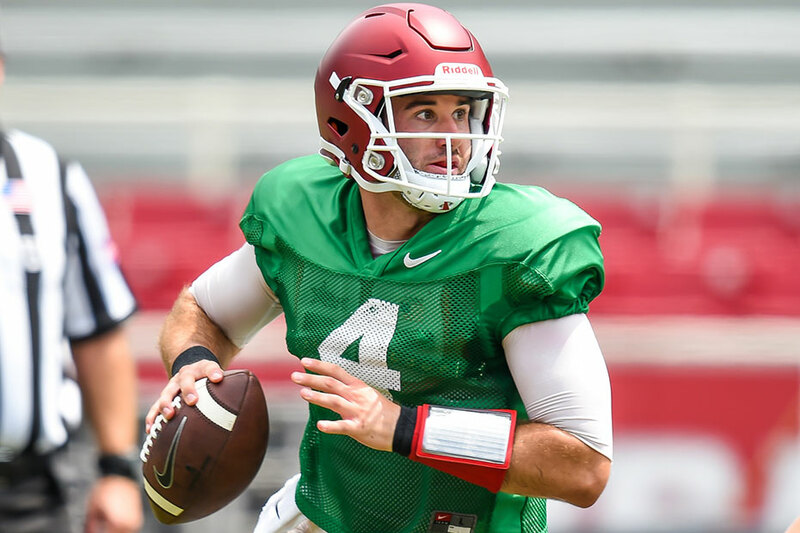 Now that senior to be and graduate Ty Storey has entered his name into the portal, the pressure really turns up for the Hogs’ staff. There are tons of players listed at every position in the portal but not everyone could help a team that went 2-10 in 2018. Arkansas is now is desperate need of a quarterback with the news of Storey potentially (but not guaranteed) leaving. If Storey does leave, does Tennessee make sense? The Vols just hired Jim Chaney as their new offensive coordinator. The same OC that recruited him to come to Arkansas. So what options do the Razorbacks have? Over the past few days, big names have jumped into the portal like national champion winning quarterback Jalen Hurts from Alabama and the highly recruited Tate Martell from Ohio State. Martell is leaving the Buckeyes now that Justin Fields bailed on Georgia for Ohio State. Both Hurts and Martell are long shots to end up in Fayetteville. Hurts to Houston makes sense he’s from the area but TCU has made it clear they’d take the Crimson Tide QB. 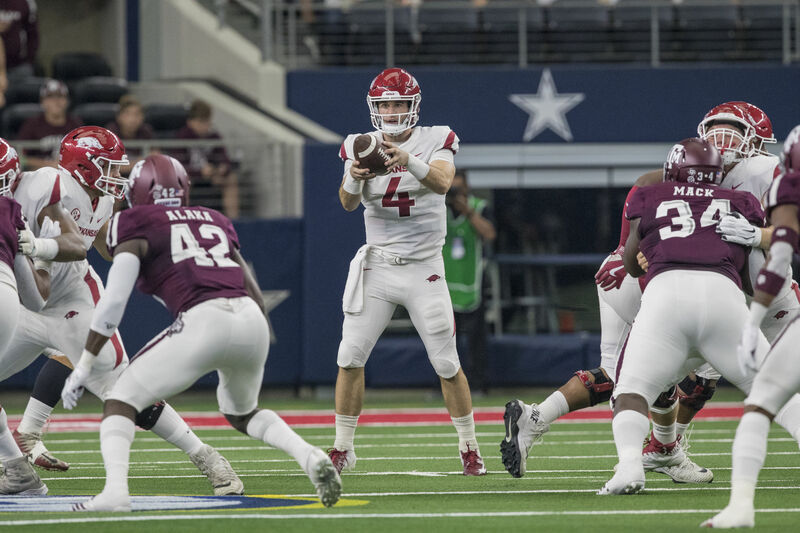 As for the Razorbacks, there’s two options that continue to stick out: 1) SMU grad transfer Ben Hicks and 2) Shane Buechele from Texas. The Hicks connection is a rather obvious one. He played for Chad Morris and most of the Arkansas staff to start his college career at SMU and had decent success, albeit against lower competition than the SEC. I’d say Hicks is clearly in the mix as the staff’s number two option. That leaves Buechele. He’s graduated from Texas and would have two years of eligibility left. Buechele began the 2018 season as the Longhorns starter before being replaced by sophomore Sam Ehlinger. Buechele was the No. 3 rated dual threat quarterback coming out of Lamar High School in Arlington, Texas. I don’t need to paint the Texas connections for Morris and his staff. Buechele completed 62 percent of his passes for 4,636 yards and 30 touchdowns with 16 interceptions during his time with the Longhorns. They may not be throwing around millions of dollars like the pros but you better believe college teams, including the Razorbacks, are delivering their best sales pitch in hopes of landing a player (or two) who can make an immediate splash on their program. Welcome to the 1st edition of In The News. In these posts we will be looking back on DC United news from the past week, and this could be literally anything from transfers, to injuries, well anything newsworthy. We will round up the best of the best. Straight out of the twilight zone…The Transfer Portal. Of course coaches want to keep the status quo. It gives them all the power. The FAU head coach mostly decries the portal due to the cap on replacing players who leave the program.